(Reuters): Billionaire environmentalist Tom Steyer, a Democratic donor and activist who has spent millions pushing to impeach Republican president Donald Trump, is expected to announce on Wednesday whether he will make a 2020 White House bid. Steyer will discuss his "political plans for 2019 and beyond" at a news conference in Iowa, where he is hosting an event on access to education, according to a statement released on Tuesday. Iowa is the traditional starting point for the Democratic nominating contests that will kick off early next year. His spokespeople did not respond to requests for more details about the announcement. Steyer has said he was considering running for president. Steyer, 61, has grown increasingly active in politics over the past decade but has never run for office. Early opinion polls show him trailing other Democrats in name recognition and support. He may face another self-funded billionaire candidate in Michael Bloomberg, the former mayor of New York, who has more of a national profile. 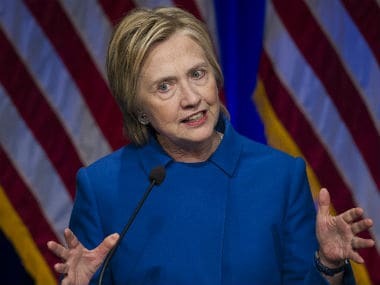 Senator Elizabeth Warren, who announced in December that she would explore a White House bid, has called on Democratic primary candidates to eschew self-funding in favour of grassroots donations. 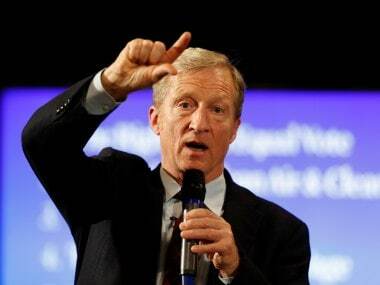 Steyer amassed what Forbes estimates to be a $1.6 billion fortune by founding the investment firm Farallon Capital in the mid-1980s and serving as a partner at the San Francisco private equity firm Hellman and Friedman. He has since become a deep-pocketed force in Democratic fundraising. NextGen America, a political nonprofit he formed in 2013, has poured millions into elections, focusing on climate change, immigration and access to affordable healthcare, among other issues. Steyer said he spent $120 million on the 2018 midterm elections, investing heavily in youth turnout, which he called an untapped source of Democratic support. Some of the money also went to Steyer’s Need to Impeach campaign against Trump. 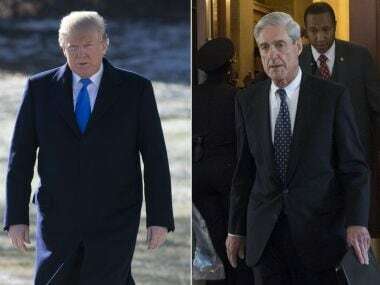 He has accused the president of colluding with Russia to win the White House and obstructing investigations into their efforts, allegations Trump denies. In a tweet in October, Trump dismissed Steyer as a "crazed and stumbling lunatic who should be running out of money pretty soon." Steyer fuelled speculation of a White House bid when he revamped his website in November to feature "Five Rights" he said every American deserved: equal voting rights, clean air and water, universal health care, free public education and a living wage. 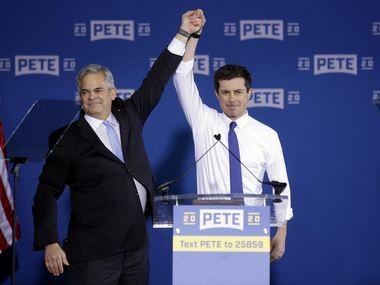 He then launched a town hall tour to promote his platform and began hiring staff in the early-voting states of Nevada, New Hampshire and South Carolina, where the political novice must make a strong showing in order to have a viable candidacy. "I think we need someone who has a positive vision of the future so Americans can get up in the morning with a smile on their face again," Steyer said at his town hall in Charleston, South Carolina, in December.